Avoid neighborhood shortcuts. If possible, avoid cutting through residential streets where trick-or-treaters are likely to be present. When providing directions to a party, try not to route guests through neighborhoods unnecessarily. Drive Carefully! Watch for children walking on streets, medians and curbs. Excited trick-or-treaters, often in dark costumes, may not pay attention to traffic and cross mid-block or between parked cars. Slow down. Watch for little witches, zombies and vampires in a neighborhood near you. According to the AAA Foundation for Traffic Safety, a pedestrian is more than twice as likely to be killed if they’re hit by a car traveling at 35 mph compared to 25 mph. Drive sober. Alcohol-impaired drivers make up about one-third of all motor vehicle deaths resulting in an average of one death every 45 minutes. Always designate a sober driver if you plan to drink. Visit www.PreventDUI.AAA.com to learn more. Make a plan. 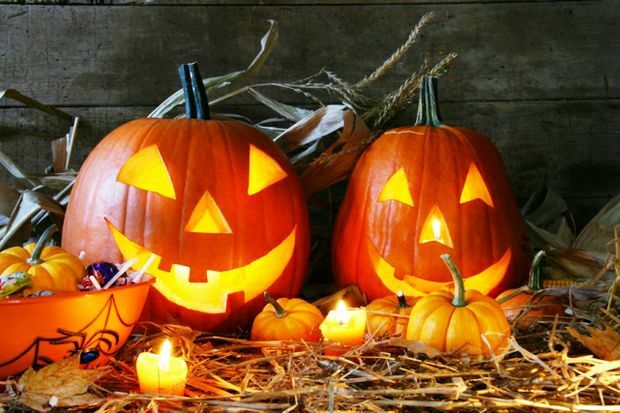 Review trick-or-treating safety precautions and plan the route ahead of time. Remind children never to cross the street mid-block or between parked cars. Check costumes. Choose disguises that don't obstruct vision and opt for non-toxic face paint instead of masks. Check and adjust the length of costumes to avoid tripping. Add reflective material or tape to keep kids visible. Buckle up. If driving trick-or-treaters between neighborhoods, always use appropriate car seats and seatbelts and have children enter and exit on the passenger side of the vehicle.